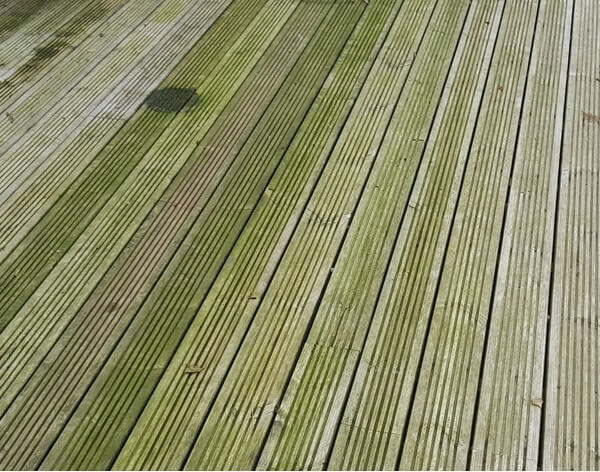 Why use a Decking Cleaner? Maintaining the appearance of garden decking is important for several good reasons. Using a decking cleaner removes and keeps decked areas free from moss, mould and algae, therefore preventing decking boards from becoming slippery and dangerous. Decking cleaners also help to maintain the look and protective properties of decking finishes such as decking oils, decking stains and decking paints. Many decking cleaners can be used as a pre-treatment to remove surface dirt, debris, mould, algae, fungi and other surface contaminates prior to applying a decking treatment or finish. Why should decking be cleaned on a regular basis? This depends on the project to hand. If it’s simply a case of cleaning dirt, grease, mould and algae from an existing decking finish then the following decking cleaners are perfect for the job. If the decking has been neglected for some time, has worn back to bare wood, turned grey or silver and is in need of a major overhaul, then a decking restorer may be required. For the best results, knowing how to clean decking properly is essential. The following steps can be used for both softwood and hardwood decking that has been treated with a decking oil, stain or other decking finish. This process is ideal for old or untreated soft and hardwood decking that has turned grey / silver over time as a result of weathering and UV damage. Decking restorer products are used to reverse the chemical processes that turn decking timbers grey and silver over time. Best used on bare wood decking or decking that hasn’t been treated for a number of years, these products help to reverse the damage caused by weathering, water and UV rays to restore the natural colour of decking boards. A decking restorer usually works best when scrubbed in to the decking boards with a stiff brush, broom or abrasive pad and rinsed off with clean water. The natural colour of decking normally returns within 24 to 48 hours after treatment. 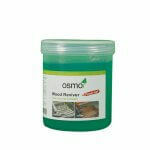 Always follow the manufacturers instructions on the tin when using a decking cleaner or restorer. Wooden decking that has been left untreated and has been grey or silver for a number of years may require a second application of decking restorer. Once the process has been completed, decking can be treated with a wood preservative and then finished with the desired decking oil, stain or paint. Sweep decking with a stiff broom or brush on a regular basis, even through the winter months and especially if it is near or surrounded by bushes, trees and other plant life. This removes leaves and other debris from the deck that will otherwise decompose and mulch down in the groves of decking boards. Decomposing plant matter can promote mould, algae and fungi that can make decking slippery and dangerous. It can also degrade the decking finish or treatment at an accelerated rate which can ultimately lead to the onset of wood rot and decay. Always wear gloves, old clothing and eye protection when applying decking restorer to decked areas. Need to know more about other decking treatments and finishes? 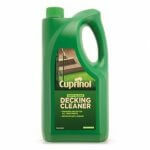 Read more about decking oils, decking stains, decking preservatives and decking paints.